It’s no secret that at Portland Internetworks, we’re extremely proud to be part of our community – be it our local or greater communities. As we’ve grown, we’ve continued to find ways to “internetwork” with groups that help unite people and businesses with similar passions, challenges, and stories. One of the most accessible and impactful ways that we’ve been able to make these connections has been through membership in business alliances, peer groups, and other organizations of the like. Miles (Right) and Alex (Left) attending CEIC meeting. Having moved our headquarters across the Willamette River to Portland’s Central Eastside back in 2007, we joined the Central Eastside Industrial Council. By engaging with the district’s native businesses and makers through the CEIC’s quarterly meetings and events, we help to preserve the rich industrial history of the neighborhood. In 2018, we joined the Portland Business Alliance, who advocates for and supports the prosperity of businesses of all sizes throughout the region. Through regional groups like these, we’ve gotten to know some neat businesses right in our backyard, and in turn, feed the local economy by supporting them. We’re also involved with vertical-specific associations outside the tech realm. 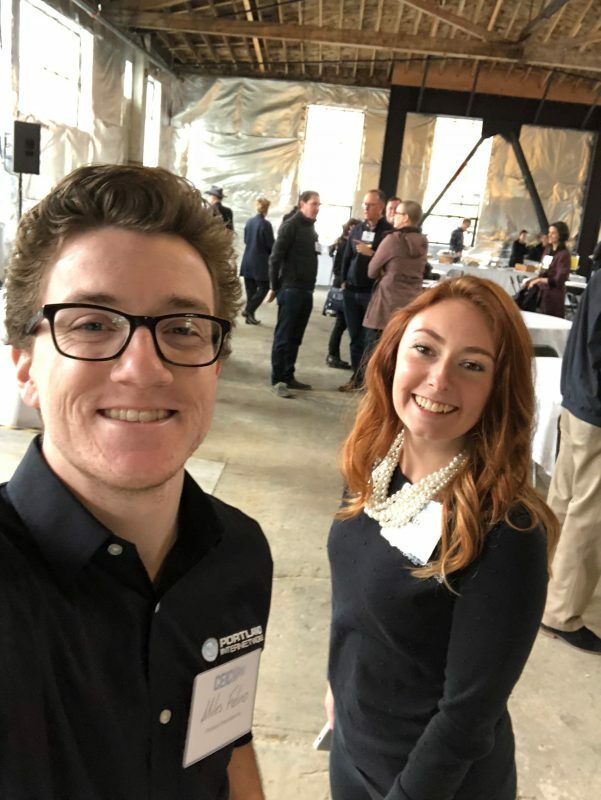 We provide IT support for the Oregon Society of CPA’s, and belong to the Architecture Foundation of Oregon (afo), who works to honor, connect, and inspire the current and future leaders and thinkers in their respective fields. Each month, we host a peer group of local business executives at our office. Beyond our local reach, we’re also members of several national peer groups and advisory boards. At least quarterly, we travel to meet with other industry leaders to listen to and share each other’s stories, strengthen and expand networks, forecast and set goals for the future, and ultimately help drive the success of not only our separate businesses, but our industry, as well. These organizations help foster a strong sense of community by supporting, stimulating, and enriching a thriving network of local individuals and businesses through its’ resources. Through our participation and memberships, we’ve gained numerous valuable connections, advocacy, and the opportunity to exchange ideas with others on how we can create positive change in our neighborhood and industry. If you’re interested in getting similarly involved in your community or want to hear more about our “member” experience, drop us a line. We’re happy to share more!